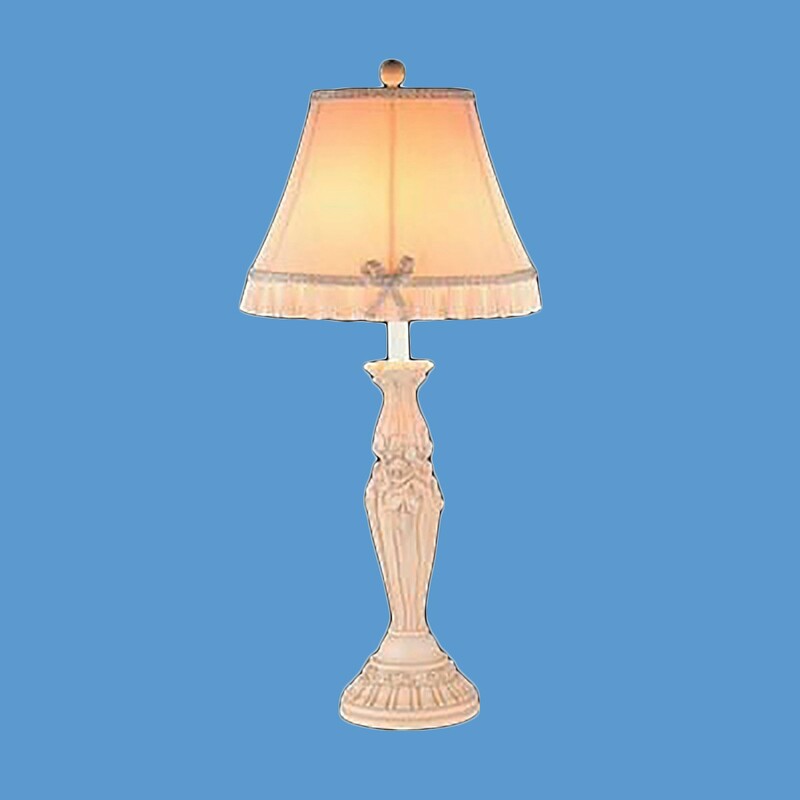 Table Lamp. 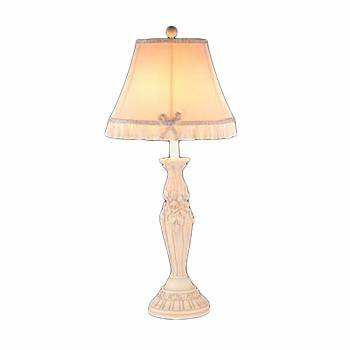 This lamp is cream colored with soft pink highlights. Comes with a fluted column with roses in relief and a cloth shade with lace fringe. Made of heavy cast plaster with a felted bass. 22 in. high. The base is 6 34 in. diameter. Require 150 Watt max Type A Bulb. Exclusively designed to bring natural warmth and serenity into the room, this table lamp can create a random elegance that only nature can bring. Expertly crafted with nobility in mind, this product serves as an ideal choice for any space that needs a great warm feel and natural look. 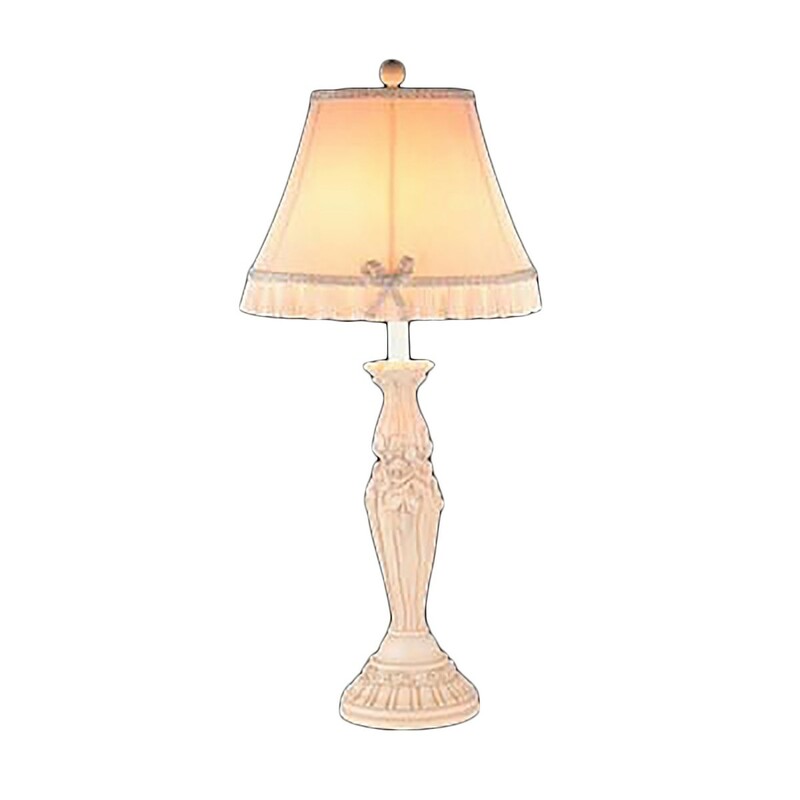 This beautiful table lamp is manufactured of sturdy plaster that is built to last. 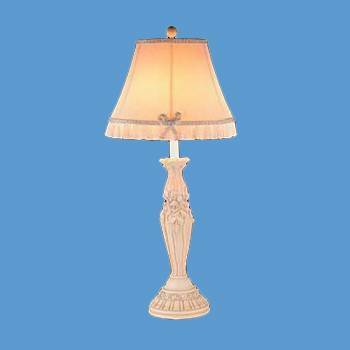 The fluted base column epitomizes lovely rose motif and measures 22 in. high which provides enough reach. The entire product comes with hassle-free assembly instructions and ease for quick set up.